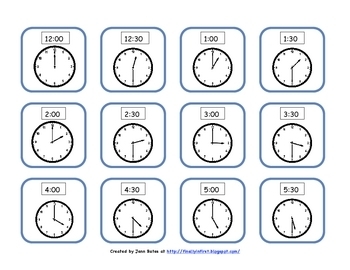 This partner game practices telling time to the hour and half hour or quarter past and quarter to. 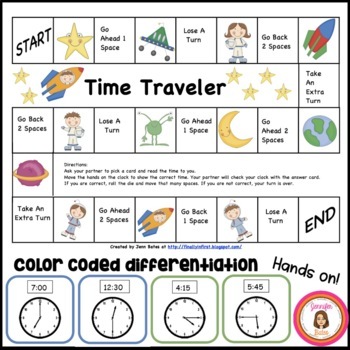 The cards are color-coded for easy differentiation. 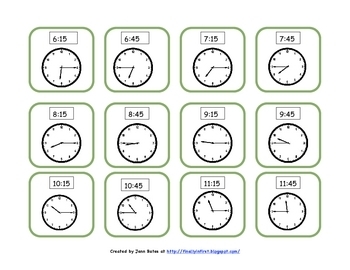 Unlike the usual game of simply reading a clock face and telling the time, this game requires the player to manipulate the hands on a clock. Partners get additional practice while checking the other player's work. 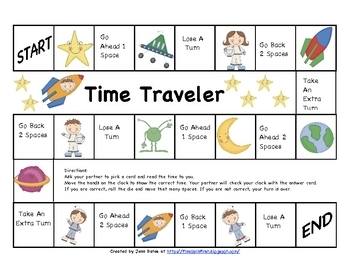 Great game for the hands-on learner.